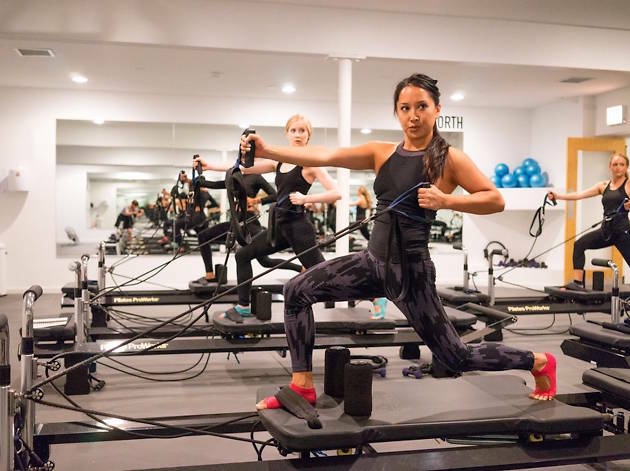 The Pilates ProWorks chainlet has seven outposts throughout the Bay Area offering a broad range of fast-paced classes, most taught on the signature FitFormer reformer. Prepare to sweat and move (without breaks) all class long for a great cardio as well as strength workout. (Newbies are advised to take a private or two before jumping into group classes.) 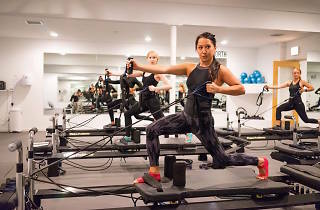 A 40-minute abridged version of the PPW Method is now offered for the time-pressed, as well as fusion classes like a yoga/Pilates/HIIT class called Tone and Flow and a Pilates/boxing combo called Mat Box.